The new C4 Cactus is more comfortable than before, and it mixes that comfort with a healthy blend of style and performance. In a packed segment full of relatively uninteresting cars, it certainly stands out. Good levels of equipment and economical engines make this a very appealing car. Has the right balance of performance, price and drivability. Capable of a long driving range and has the lowest emissions. Least powerful engine available for short period only. 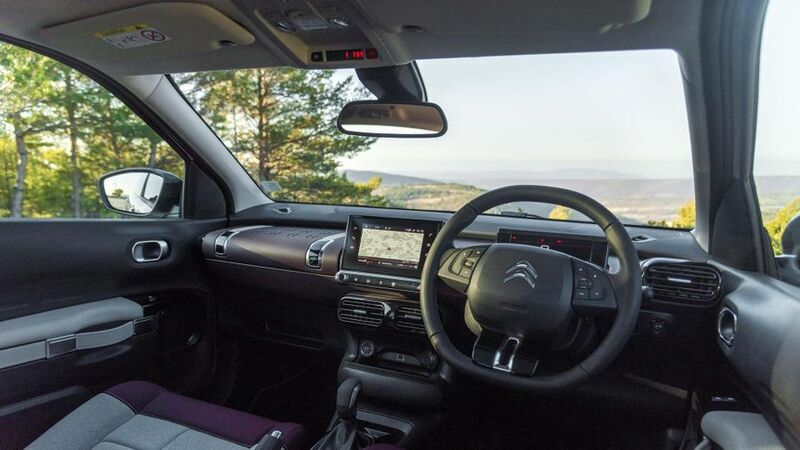 Interested in buying a Citroen C4 Cactus? 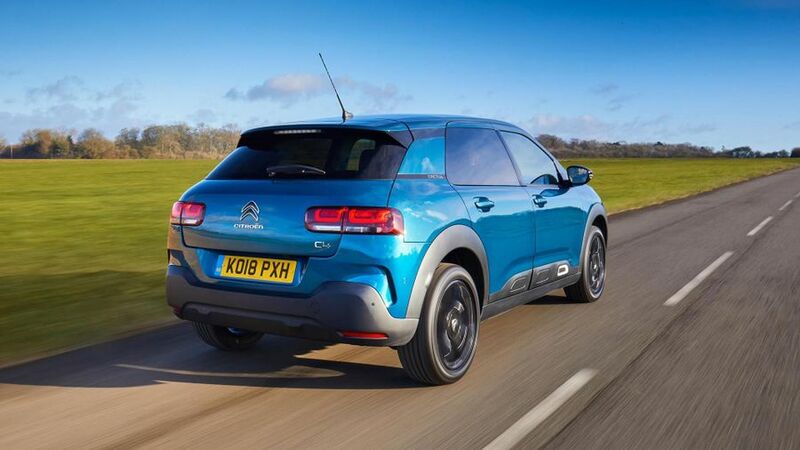 While this second generation of the Citroen C4 Cactus does away with the quirky ‘Airbumps’ along its sides, it remains a very distinctive car. Somewhat surprisingly, around 90% of the bodywork is new. You get protective plastic moulding on the lower door sections, which continues around the wheel arches and through the bumpers. This, plus the roof rails, help it retain a vaguely SUV look, though Citroen is now pitching the car firmly at the hatchback segment. There’s a choice of 16- or 17-inch alloy wheels across the range, which consists of two trim levels: Feel and Flair. The more expensive Flair version looks better, as it adds rear privacy glass, bigger wheels and a massive panoramic glass roof. The first thing you notice about the interior is the large, genuinely comfortable seats in the front, with thick padding. They’re called ‘Advanced Comfort’ chairs and are quite unlike most other car seats. 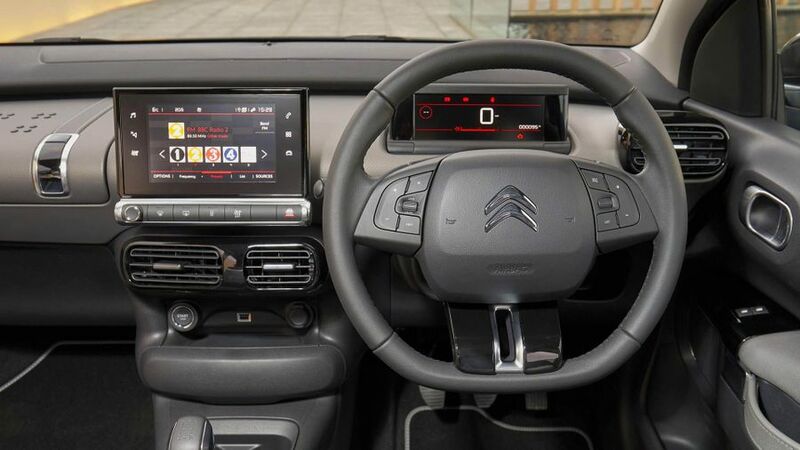 The simple dashboard layout consists of a 7.0-inch touch-screen display and a smaller widescreen display ahead of the driver, instead of a traditional instrument panel. We’d like to have permanent buttons for the heating and air conditioning, rather than be forced to use the touch-screen, but at least it’s quick to respond. For its size, the Citroen has some practical solutions and a useful 358-litre boot. It isn’t the largest in its class, but has a big opening. 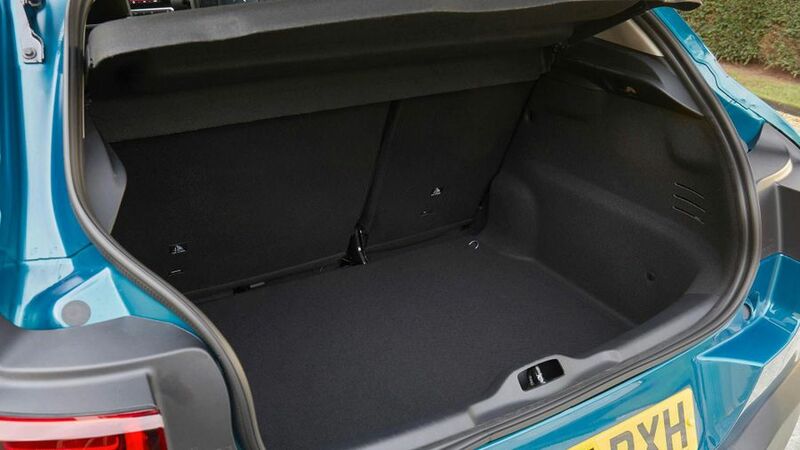 The rear doors have good-sized bins that could easily take a large drinks bottle, and both outer seats feature Isofix points. The back seats fit two comfortably, but it’s cramped for three. The seats tumble forward in a 60:40 split, boosting boot space to 1,170 litres. All models come with a space saver spare wheel. Parents may like that the rear windows only pop open a little rather than go down, but it is a restriction to consider. Up front, headroom is average for the segment, but made slightly worse with the panoramic glass roof. There’s a large ‘top box’ in front of the passenger seat which takes the place of the traditional glove box. Not only is it a good size, it’s easy to use, too. There’s also a handy ledge on the centre console for storing your phone near the power outlets. Other than two small cup holders, there isn’t much in the way of other storage. The front doors feature long and narrow bins that will have whatever you put in there sliding around while you drive. Finally, we’d expect more than one USB port. What sets the C4 Cactus apart from its rivals is a new suspension setup focused on comfort. It uses ‘Progressive Hydraulic Cushions’, which give the car the sensation of floating much more smoothly over bumps on the road. It does a better job than most at soaking up uneven surfaces, especially at urban speeds. Even large speed humps seem less intrusive than in most other cars in the class. Despite the softer feeling, it doesn’t impact negatively on how the car handles corners, other than exhibiting slightly more body lean when pushed faster. On motorway journeys, the ride remains comfortable (the original C4 Cactus excelled in that regard), but it shines on rural and urban roads. The C4 Cactus is a relatively light car, which helps with fuel consumption and emissions, but also performance. The engines are carried over from the original, largely unchanged. There is just one diesel option, a 1.6-litre unit that puts out 100 horsepower, and is also very economical. It uses a five-speed manual gearbox. Citroen’s petrol range offers more choice, with the 1.2-litre turbocharged three-cylinder engine available in 110 and 130 horsepower guises. Initially, just the 110 horsepower petrol engine can be had with an automatic gearbox. The petrol engines have real character to them and offer plenty of power, though the six-speed manual gearbox in the more powerful 130 model is more satisfying to use than the five-speed unit. An 82 horsepower petrol engine will be available for a short period of time in the Feel Edition model only. Buyers should consider the diesel if they cover larger distances; the 1.6-litre engine officially returns an impressive average of 83.1mpg. That diesel engine also features the lowest CO2 emissions rating, of 94g/km. The 110 horsepower petrol engine is capable of 65.7mpg with 104g/km of CO2, which isn’t far behind. Even the more powerful 130 horsepower version emits just 110g/km, so first-year tax is low regardless. While 16- and 17-inch wheels are available on all versions, Citroen does not list any difference in emissions or fuel consumption, depending on which wheel size is chosen. Citroen offers owners the choice of paying either a one-off or monthly fee that covers the service and maintenance of the vehicle. Owners can choose to buy this Citroen Servicing package up to one year from the original registration date. Looking at the Warranty Direct Reliability Index, Citroen sits in the middle of the study’s manufacturer rankings. 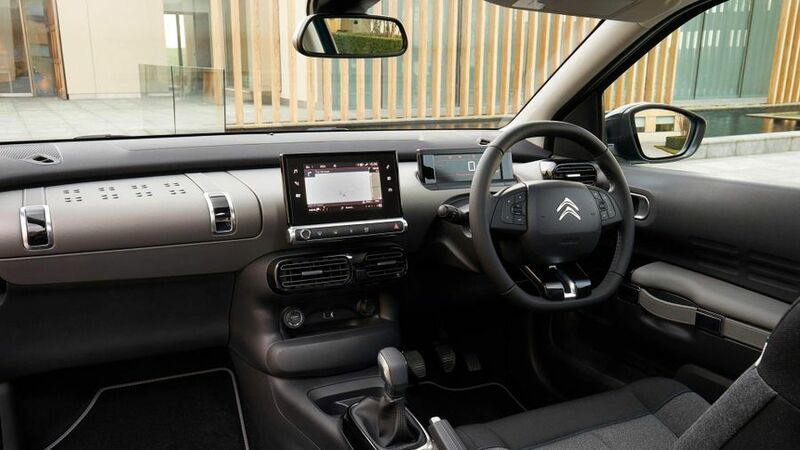 The last C4 Cactus had an above average rating, and good user reliability rating. 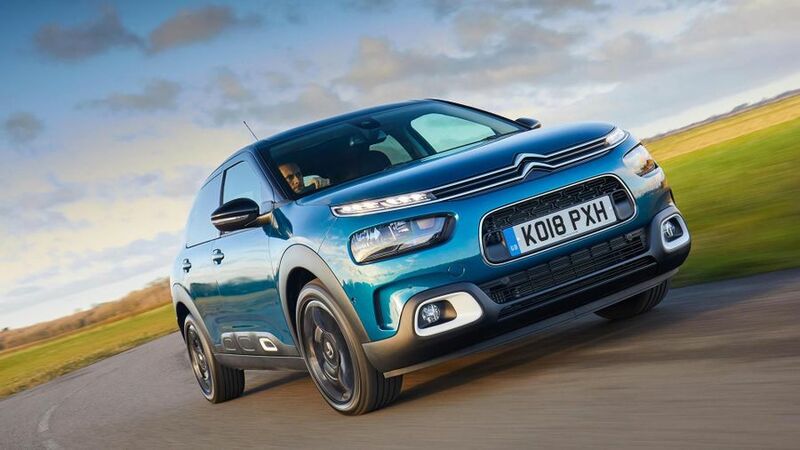 As with all new Citroen cars, the C4 Cactus is covered by a three-year warranty, the first two of which are unlimited mileage with the third year limited to 60,000 miles. Additionally, there is a three-year paint and 12-year anti-perforation warranty. Buyers also get a 12-month roadside assistance package that operates 24 hours a day and covers all the UK and Europe and includes a home-call service, replacement vehicle and even hotel accommodation and vehicle storage if required. 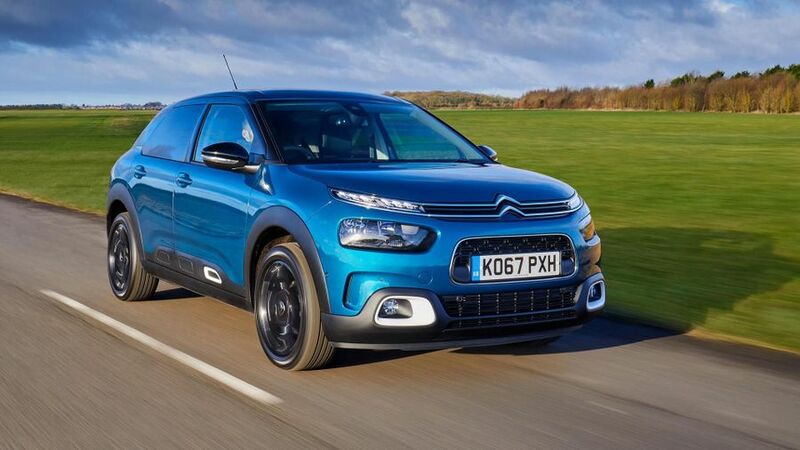 Citroen is yet to send this new C4 Cactus through the Euro NCAP safety tests, but it is expected to perform well. The first generation achieved a four-star score and this new one features more safety equipment as standard. The new Active Safety Brake system can detect both pedestrians and vehicles, reducing the risk of forward collisions at up to 52mph for vehicles moving in front, and at 49mph for stationary objects. Pedestrians are detected while driving up to 37mph, and Citroen claims it can completely stop the car up to 18mph, which should prevent smaller collisions in stop-start traffic. Other features available include Lane Departure Warning above 37mph, a Driver Attention Alert that senses if the driver is displaying signs of fatigue, Blind Spot Monitoring and traffic sign recognition. There are two core trim levels in the C4 Cactus. 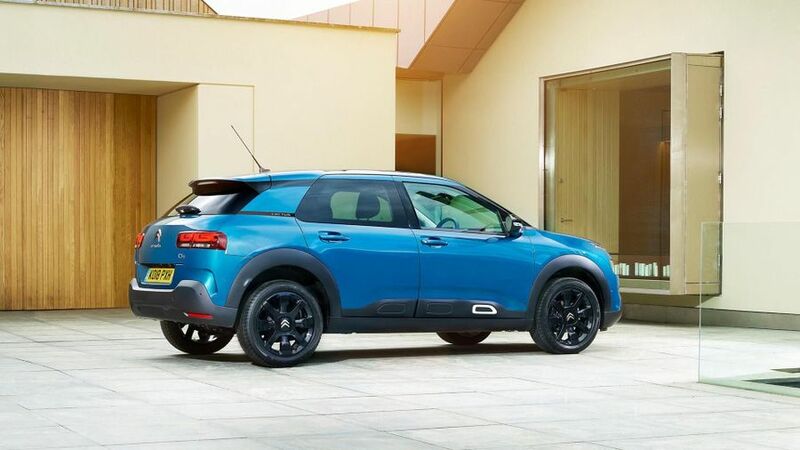 The first is the C4 Cactus Feel, which features 16-inch alloy wheels, body-colour door handles, LED daytime running lights, rear parking sensors and front fog lights with cornering function. Inside, it gets a height and reach adjustable steering wheel and the Advanced Comfort seats. The Flair trim gains 17-inch alloy wheels, a silver chrome exterior styling pack, rear privacy glass, electric folding door mirrors and a panoramic glass roof. Technology-wise, the Flair trim adds sat-nav with TomTom mapping, a reversing camera, automatic headlights and wipers and the Active Safety Brake, Lane Departure Warning and Speed Sign Recognition. All models get the 7.0-inch touchscreen display, Bluetooth, DAB radio and cruise control with a speed limiter function. Smartphone connectivity covers Android Auto, Apple CarPlay and MirrorLink, but there is only one USB port and 12-volt socket. 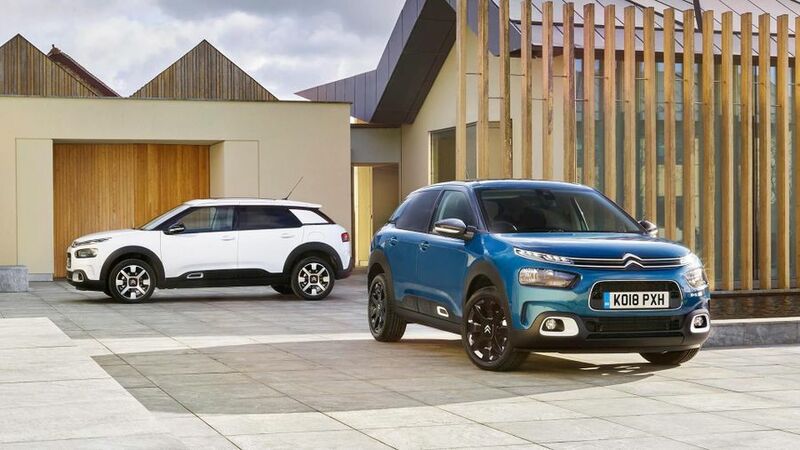 Whether you want to stand out from the crowd or you just fancy a car that truly is comfortable, the new Citroen C4 Cactus will appeal. Its innovative suspension makes it somewhat unique and provides the type of ride you would only expect to find in a more luxurious (and expensive) car. It’s also surprisingly good fun to drive, thanks to a great blend of good engines and low weight. Against rivals such as the Volkswagen Golf, or Nissan Qashqai, the C4 Cactus has bags of character that makes it hard to ignore.